While either company hasn’t officially confirmed the purchase, a source close to our friends at 9to5mac tell the site the Bluetooth headset maker has already been acquired by Apple. 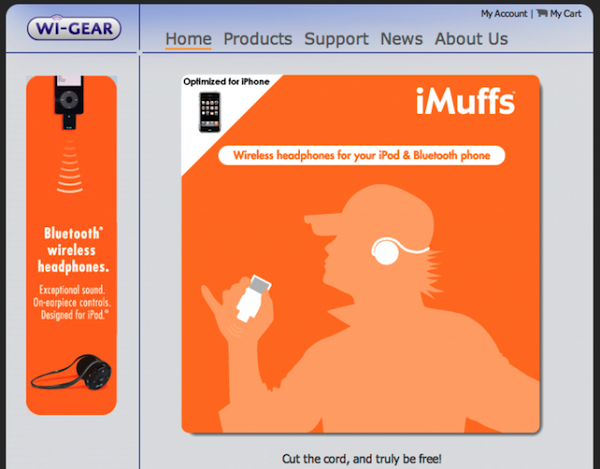 The small San Francisco-based wireless Bluetooth headphone maker, Wi-Gear,designs products specifically for iOS devices, the most popular of which are the A2DP stereo headphones known as iMuffs. They also make Bluetooth 2.0 adapters for past generation iPod and iPhone devices that lack support for the feature. The rumor is that Apple has purchased Wi-Gear in order to use the company’s technology and team to start creating its own Bluetooth headphones in-house. 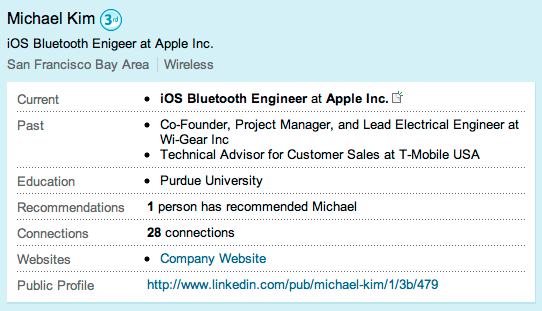 As you can see from the image above, the company is no longer active, but the real proof comes from the screenshot of Wi-Gear co-founder Michael Kim’s LinkedIn page which lists his current position as “iOS Bluetooth Engineer at Apple Inc.